The Carex Uplift Premium Power Seat provides 100% electric lift for those who need help to stand from their armchair or sofa. Patented LeveLift Technology ensures a safe, gentle lift without pushing you forward and the easy-to-use flexible hand control can be placed where convenient. The memory foam core helps prevent pressure sores and can be wiped down with soap and water. 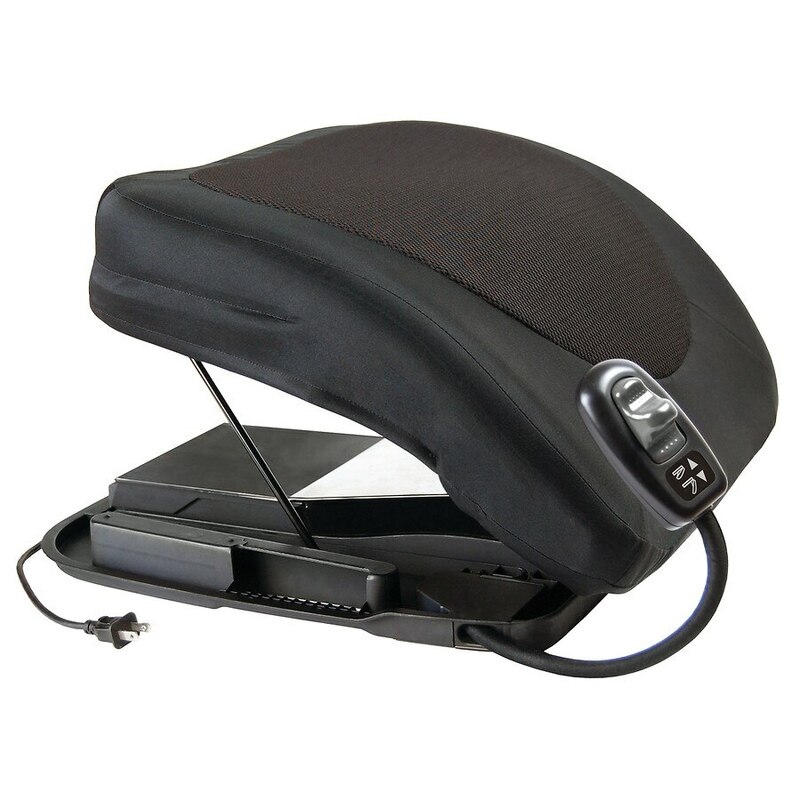 Portable, with two ergonomic handles for around home or on the go. Includes washable, zippered waterproof cover with comfort mesh for improved air flow. Please follow included instructions. Use as directed.